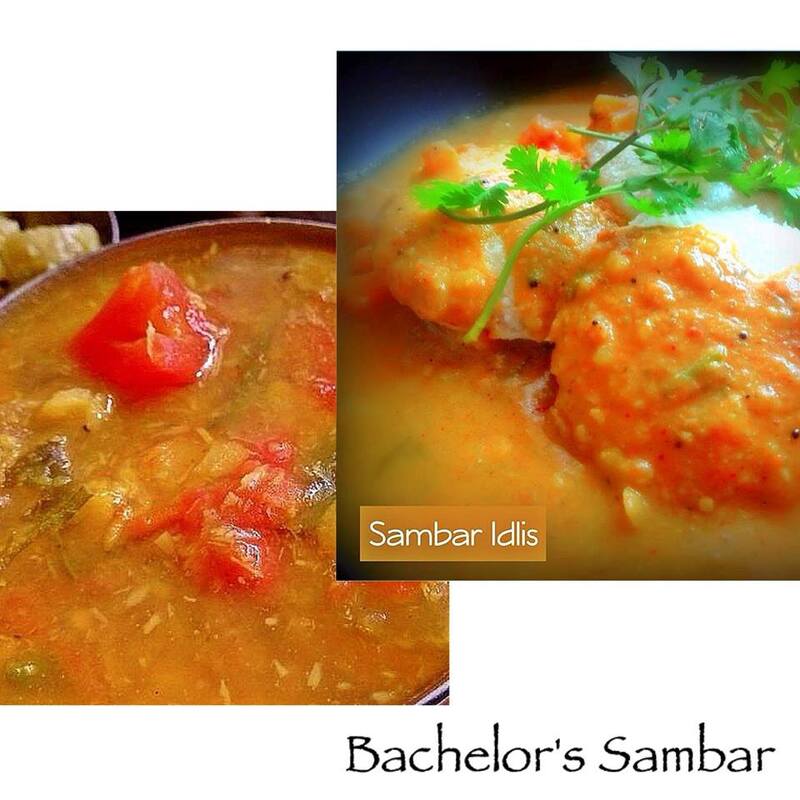 Bachelor' s sambar recipe is nothing but a quick way of making a delicious sambar without compromising on taste .A time saving one . Bachelors who are away form home constantly travelling may have very few utensils for preparing dishes or less time to cook , so this style of making a sambar all in one step comes very handy. I personally dont think it is limited to bachelors alone, even busy moms and housewives can try this. Most people living in temporary residences will have at least one pressure cooker which doubles up as a cooking utensil too. So the washing chore is reduced greatly, no frying pan required.I find sambar tastier as the dals and vegetables get blended well with spices .This is a great way to make sambar especially in bulk. Now to get this recipe you will have to hop over to a lovely little blog by Suchitra Kamath Bhat Su's Healthy Living . Yes it is a guest post by me and do check out other recipes too in her blog .